OAKLAND, Calif. — The family of a teenage girl who was declared brain dead following a tonsillectomy and other throat and nasal procedures has found a nursing home willing to care for the girl long-term, reports state. Talks are being held as to how to carry out the logistics of the situation as there are many hurdles still to be overcome, including resistance from hospital officials. The matter will also need to be discussed in the courts beginning on Monday, where an attorney for the family plans on filing a federal lawsuit. 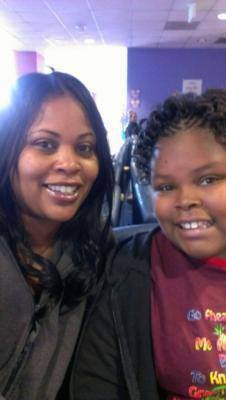 As previously reported, 13-year-old Jahi McMath underwent the operation at Children’s Hospital and Research Center earlier this month, as doctors had recommended the operation to help alleviate her sleep apnea, irregular weight gain and urination issues. However, the family has been fighting the matter in court, and last week, Judge Evelio Grillo ordered that the girl remain connected to a ventilator while a second opinion is obtained. On Monday, Dr. Paul Graham Fisher conducted an evaluation and testified before the court on Tuesday that McMath meets the medical criteria for brain death. Following Fisher’s testimony on Tuesday, Judge Grillo permitted Children’s Hospital and Research Center to remove the ventilator after Monday, December 30th, pending an appeal. The family—and others worldwide—have been praying for a miracle in the meantime. 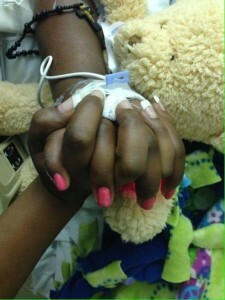 Before the girl may be transferred to the facility, she needs to have a breathing and feeding tube inserted. However, Children’s Hospital and Research Center has refused to perform the procedure. Attorney Timothy Dolan, who is representing McMath’s family, said that he held a three-way phone call with the nursing home and hospital to come to an understanding between the parties. He plans on seeking an extension of time in court on Monday, and also to file a federal lawsuit against the hospital. “What this hospital is doing is telling this family, ‘We’re going to decide what’s going to happen to Jahi, not you,’ even if it kills her,” he told ABC News.